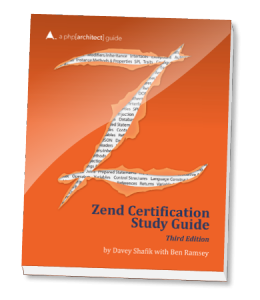 Need to prepare for the Zend PHP 5 Certification? The third edition of the popular Zend PHP 5 Certification Study Guide, edited and produced by php[architect], provides the most comprehensive and thorough preparation tool for developers preparing for the exam. Zend Certification is an industry-recognized benchmark for validating PHP expertise. Beyond that, becoming a Zend Certified Engineer (ZCE) indicates a developer’s commitment to mastering his or her craft . This books covers fundamental concepts of the PHP programming language, making it an invaluable resource for any programmer long after they’ve passed the certification exam. This expanded edition adds three new chapters and over 80 pages of new content. It covers new features added in PHP 5.3, 5.4, 5.5, and 5.6, including namespaces, traits, variadics, generators, closures, and callbacks. PHP Syntax Basics: using comments, scalar types, operators, and variables. Control Structures: loops and branching. Arrays: enumerative vs associative, comparing and sorting arrays, iterators. Strings and Patterns: comparing and searching strings, using regular expressions. Database Programming: Relational Databases and using SQL from PHP. Web Features: Handling forms, HTTP Headers, and Session state. Object-oriented Programming: Class methods & Properties, Interfaces & Abstract Classes. Object-oriented Design: Patterns, Generators, and the SPL. XML and Web Services: parsing XML with SimpleXML, DOMDocument, and XPath. Security: Concepts and Practices, handling Passwords securely, and Website Security. Files, Streams, and Network Programming: working with local and remote files. 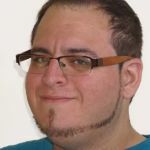 Davey Shafik is a full-time developer with over 14 years of experience in PHP and related technologies. He has written three books, numerous articles, and spoken at conferences the world over. He’s also written PHP Master: Write Cutting Edge Code, the creator of PHP Archive (PHAR) for PHP 5.3, and a PHP release maintainer.